Reviews are hard work, they take time. Endless critical analytical listening sessions looking for what is broken and also what works takes its toll when one just wants to listen to the music. Thankfully high end and low end earphone models take the least work, its the ones in between that require the more razor sharp attention to detail as the problems can be harder to spot. Luckily for me the JOMO 6R is at the high end of the continuum line. Coming off the back of the Campfire Audio models that I recently reviewed and enjoyed it did take a while to wash their sound signature out of my ears and to be able to approach the reference JOMO Audio 6R with fresh ears. In short it was a pleasurable experience. 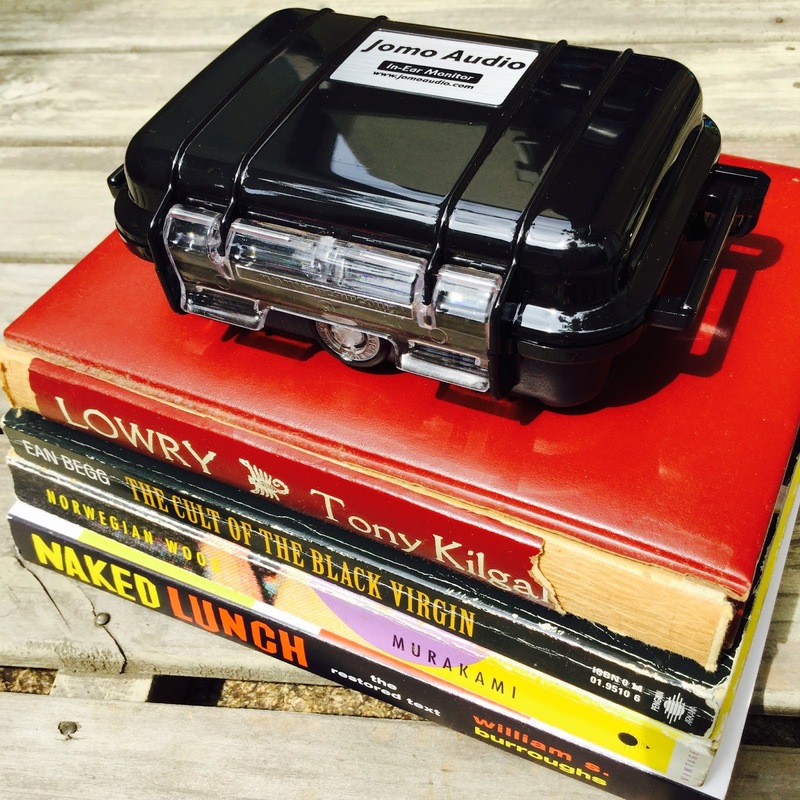 Thanks again to JOMO Audio for sending and gifting me the 6R. Lets start with the basics, or you eager beavers can do your usual trick and skip to the sound section. 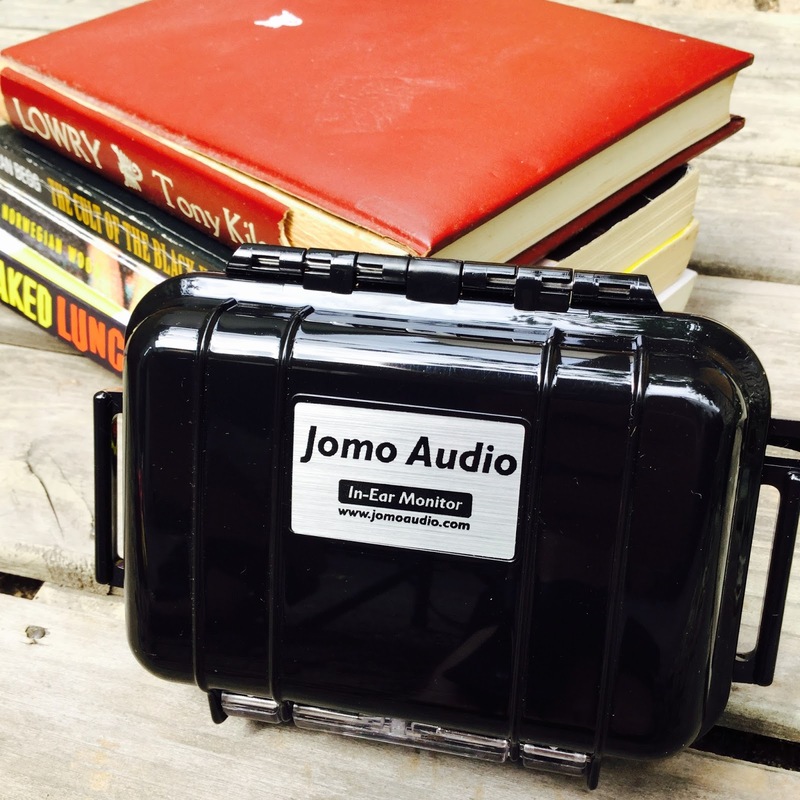 The JOMO Audio 6R comes in a sturdy internally padded case with a hard plastic outer. 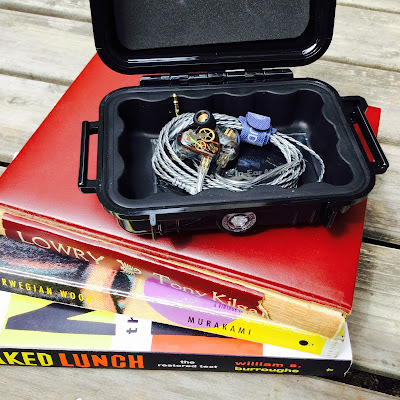 The IEMs lie in wait inside, secure, protected and safe as houses. 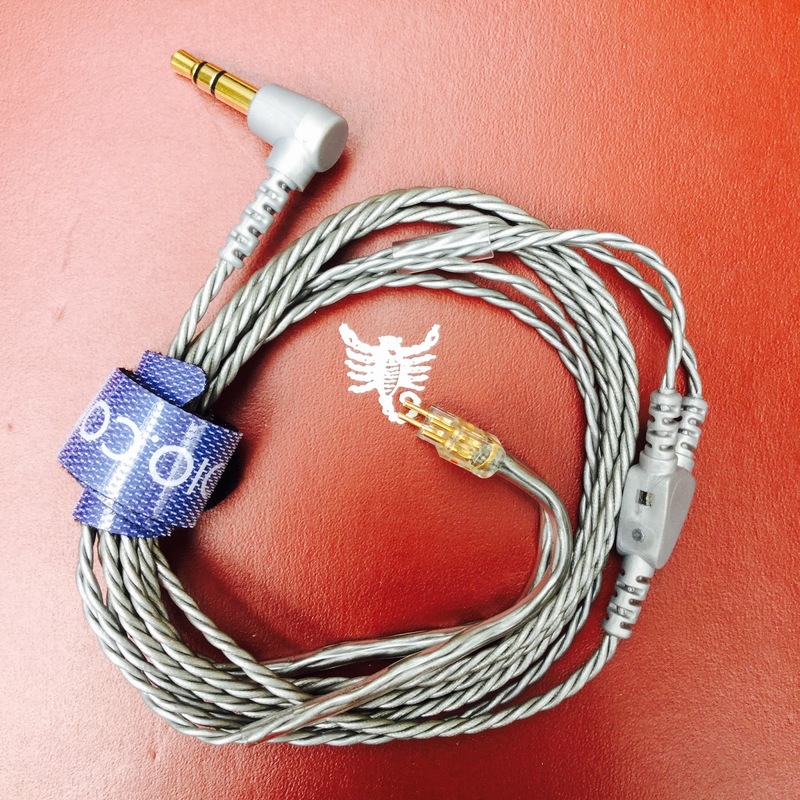 IEMs and cable tied with a nice JOMO branded velcro tie. Wonderful detailing in the construction of these IEMs. 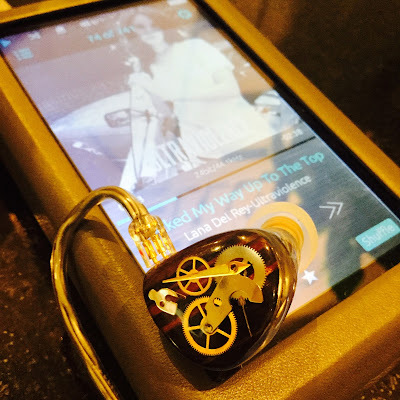 The cable is high performing, but I would like to see another design to match the beauty of the IEMs. Nice well crafted IEMs without bubbles in the acrylic molding. 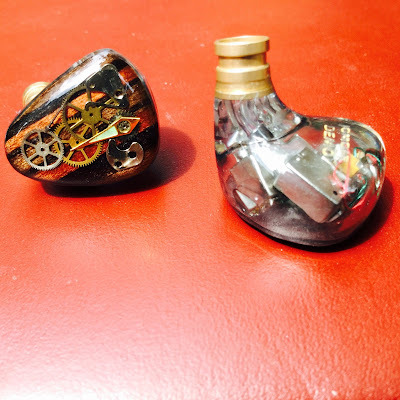 Each ear piece inscribed with `Jomo, review`. The cable itself is light, has a right angled plug and is not prone to tangling. 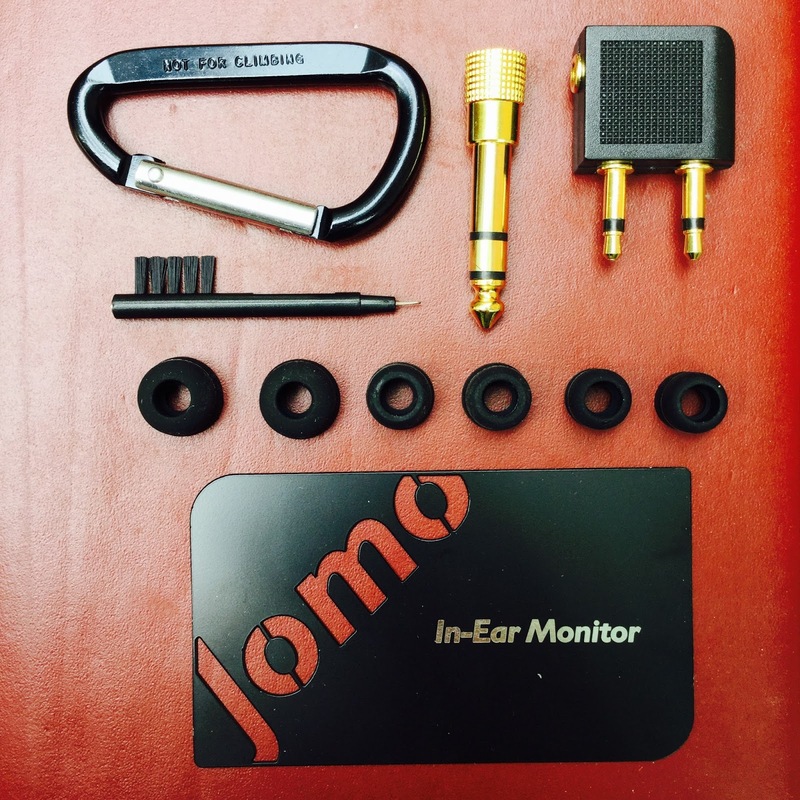 The Jomo 6R comes with a metal card with the owners (me) information on it and the units information, assorted tips (short double flanges), a cleaning brush, an airplane adapter plug, a 3.5mm to 6.3mm adapter and a carabiner for hanging the case from a bag or belt. 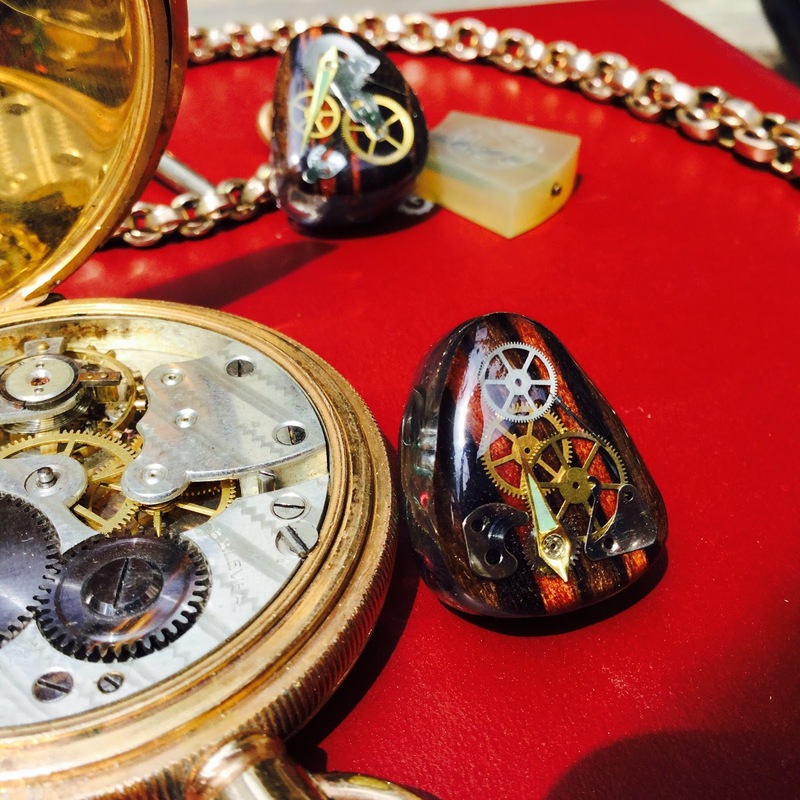 The build is hand made, each individual unit crafted and checked for any imperfections. The JOMO website has multiple drop down menus where you can craft and design your desired IEM to your particular preference. 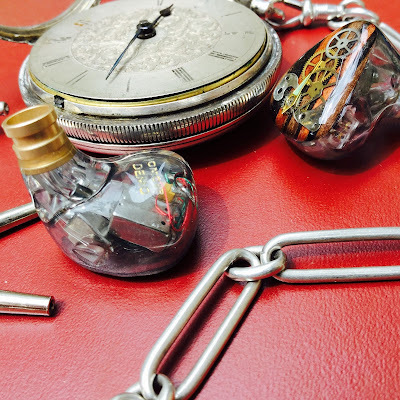 Don`t let the opening pictures on the website initially fool you, click on the customization tab for the many options to style the IEM to your liking. The unit crafted for me by JOMO Audio is acrylic with an ebony wood inlay, combined with watch parts for a steampunk effect. 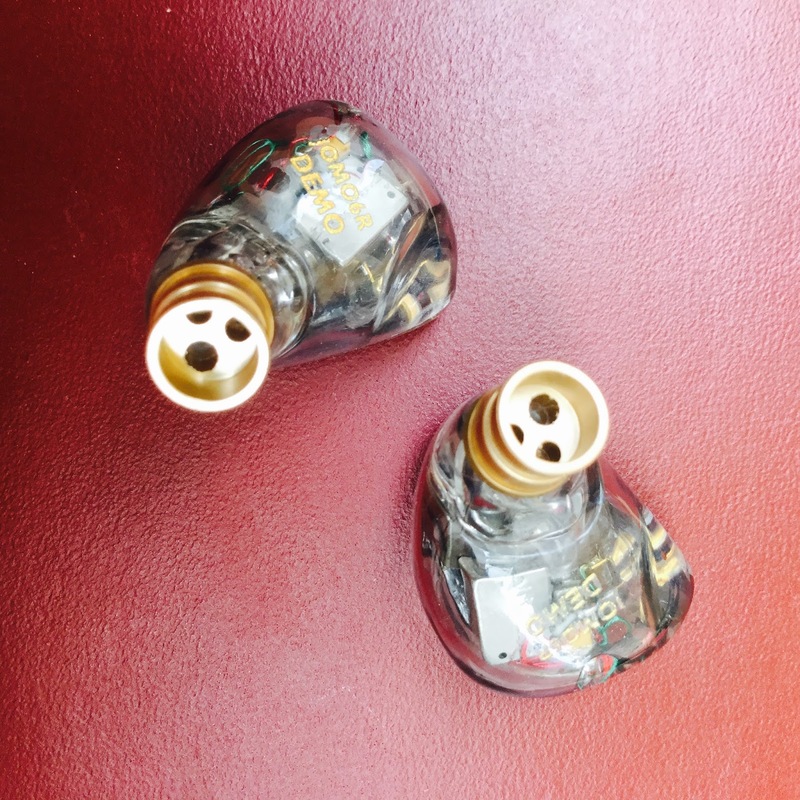 Each ear unit has 3 bore holes in the metal nozzle. The nozzles are quite large in circumference and might not be ideal for small ears. I am using medium sized tips and they easily slide right in for me, just fitted. Jomo 6R nozzle circumference next to Campfire Audio. NOTE* Remember I requested an extra long nozzle length. 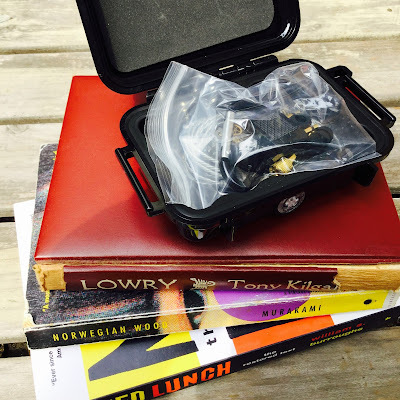 Certainly they are sturdy, they feel solid and light in my hands. Of course one must always take care of such earphones as the drivers inside are delicate. I requested long nozzles as I have had trouble with some other IEMs getting enough depth for a secure fit and isolation. JOMO obliged. 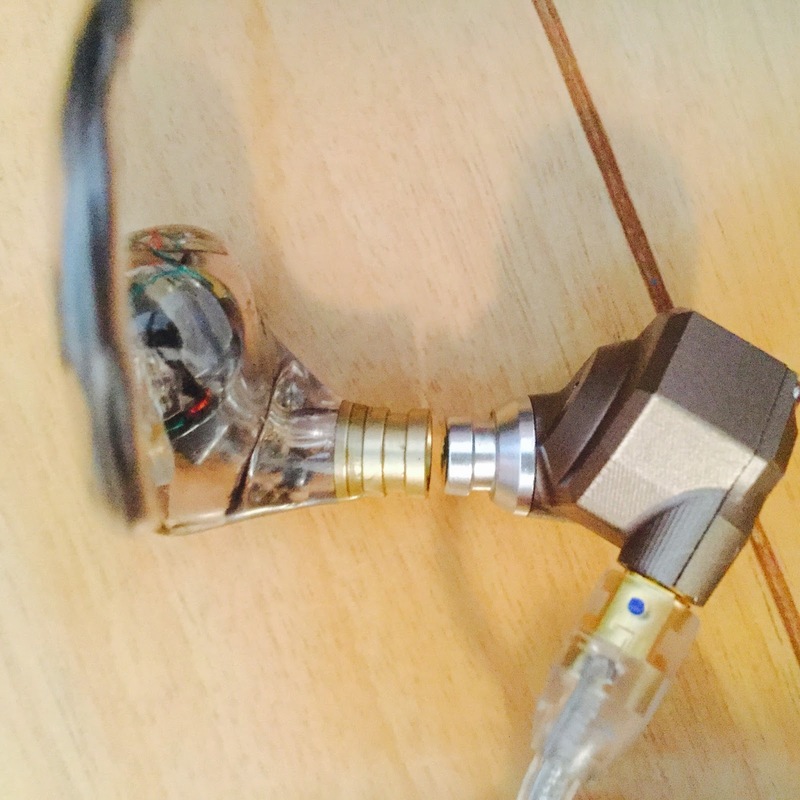 I have been through the supplied double flanges, Spin fit (not recommended, lessens the bass), various sizes of JVC spiral tips and Ortofon, and have settled for switching between the supplied double flanges and the Ortofon tips. 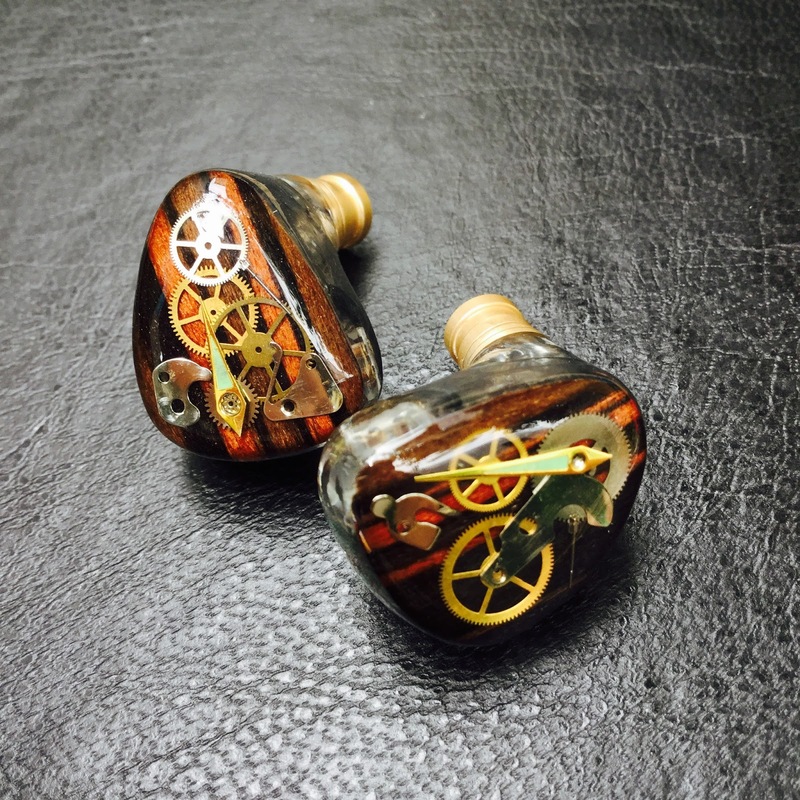 Repeated from the build section: The nozzles are quite large in circumference and might not be ideal for small ears. I am using medium sized tips and they easily slide right in, just fitted. 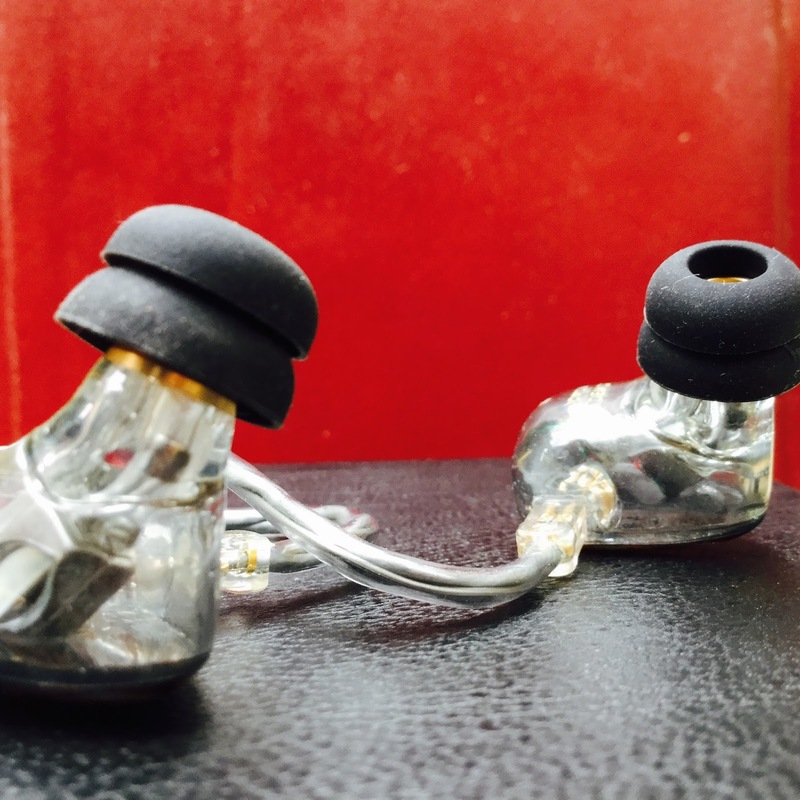 The JOMO IEMs such as mine prefer and perform better with a more open tip rather than a narrow bore tip. 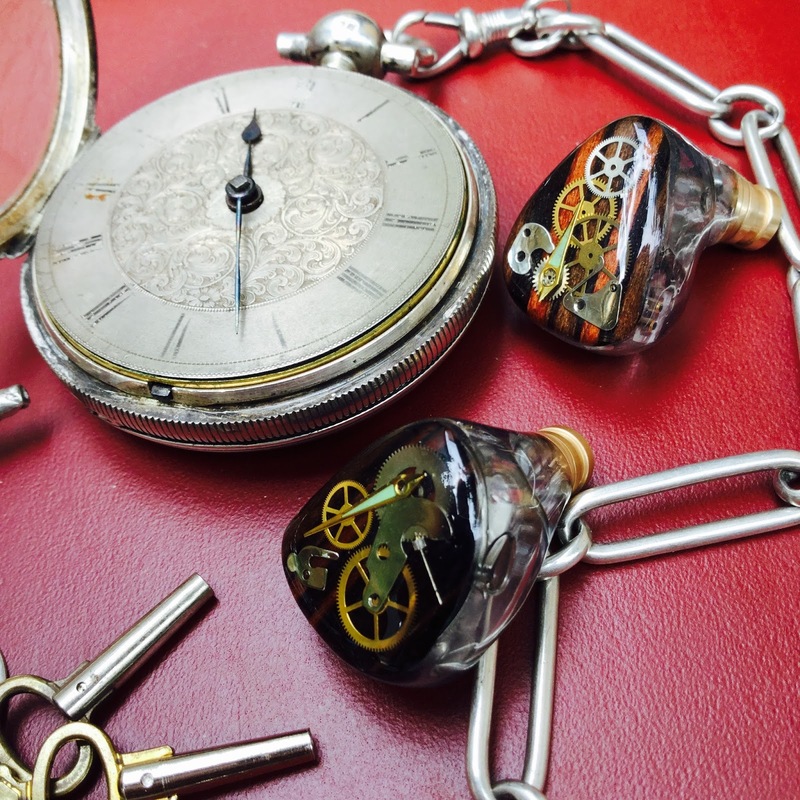 Jomo Audio: "Now the universals are all pre-made with complex designs. We don't focus on universals. Only when we have got time we will make a batch of universals. 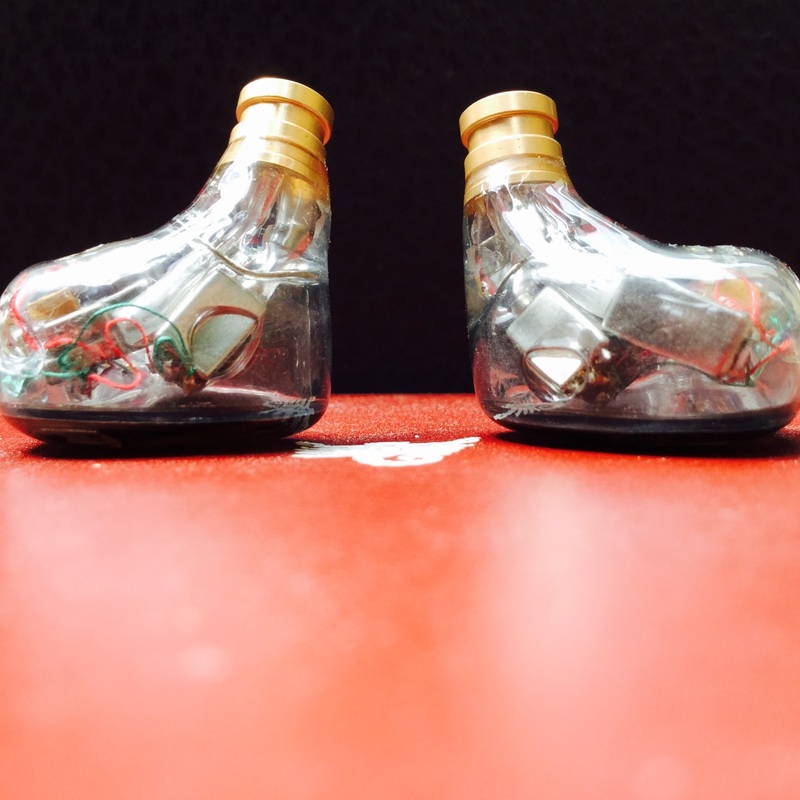 But each and every batch has different design and we will not reproduce the design". Early impressions were positive, yet the usual findings of a slightly bright treble and receded bass signaled that as usual I needed to get some hours on the JOMO 6R to even out the initial teething issues that seem to occur with most earphones. 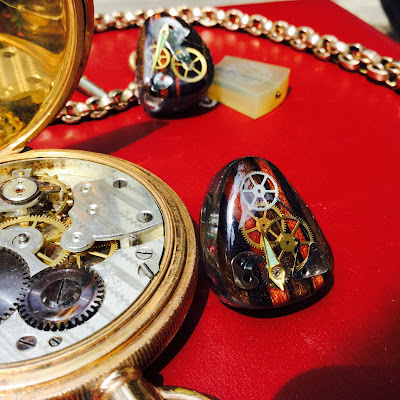 As time went by bass became more present and the treble became more controlled. 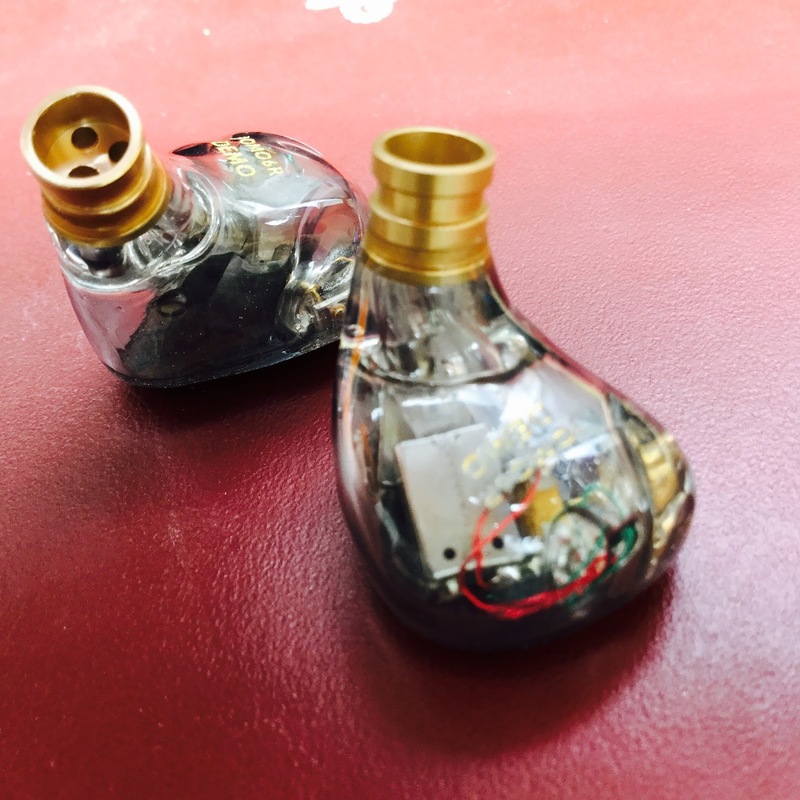 It is very clear, has great detail retrieval, transparent. It seems fairly even in its tuning, reference level. The JOMO 6R are beautiful to look at and also to listen to. 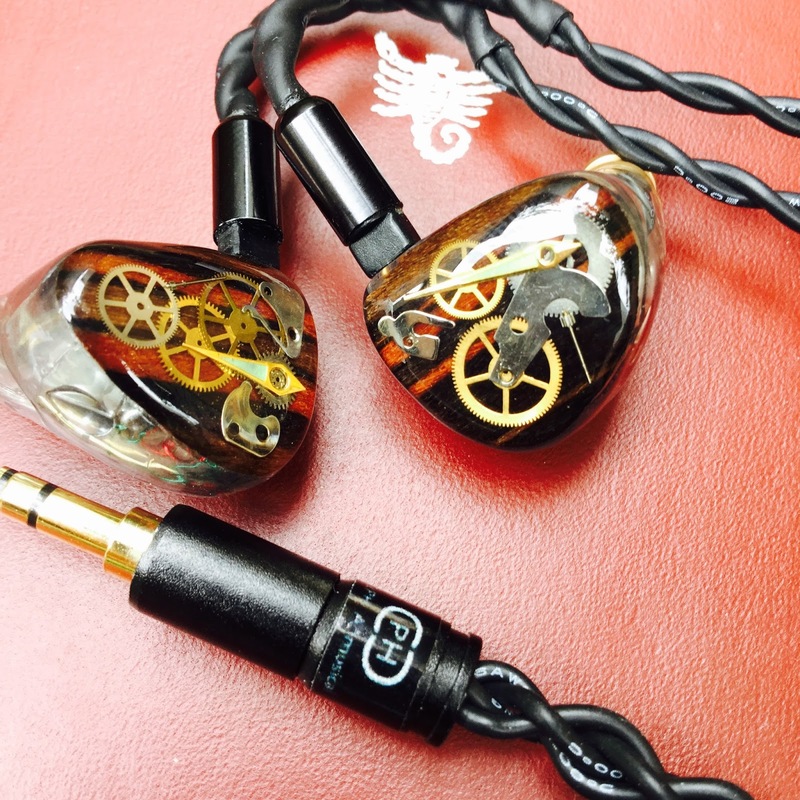 They have a great transparency, are a reference type of earphone that favors neither the lows/mids or highs. 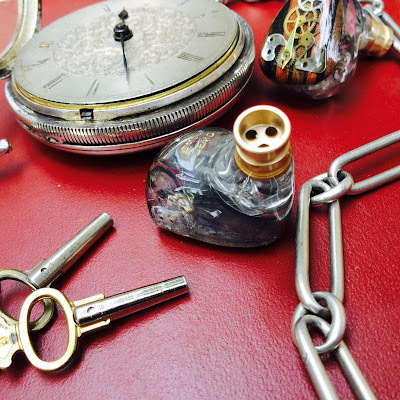 Detailing is exquisite and not artificially induced by treble trickery or other such hijinks. 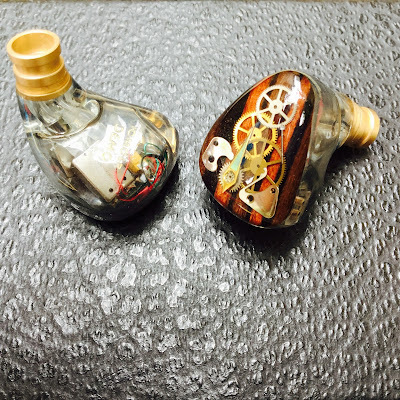 *From Head pie`r r3n88 owner of the Jomo 6R, he writes: Adele's "Remedy" is emotional and moving. The stretch of her breaths are clearly depicted. The 6R's tuning is linear and balanced with a very smooth presentation. Bass is quick and controlled that's a bit lacking in energy. 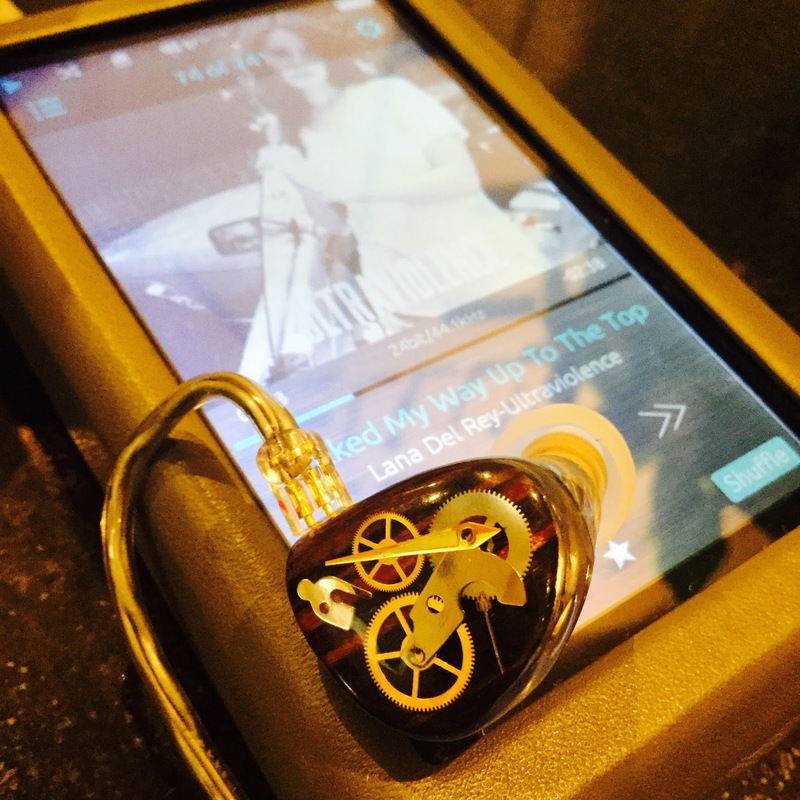 The 6R possesses an impressive sense of resolution in its imaging that feels like a fine-tuned IEM". 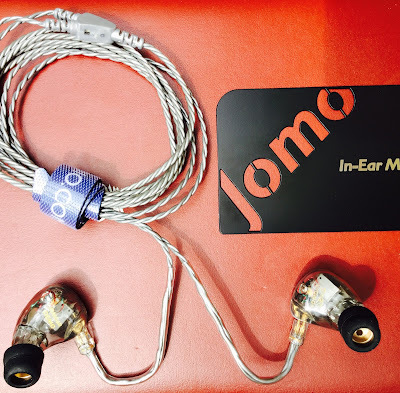 Jomo 6R with COWON Plenue S.
Review and summary -back to expatinjapan/Damon. I ended up with around 200 hours of playtime/burn in on the Jomo Audio 6R using various genres of music and burn in tracks of different frequencies. 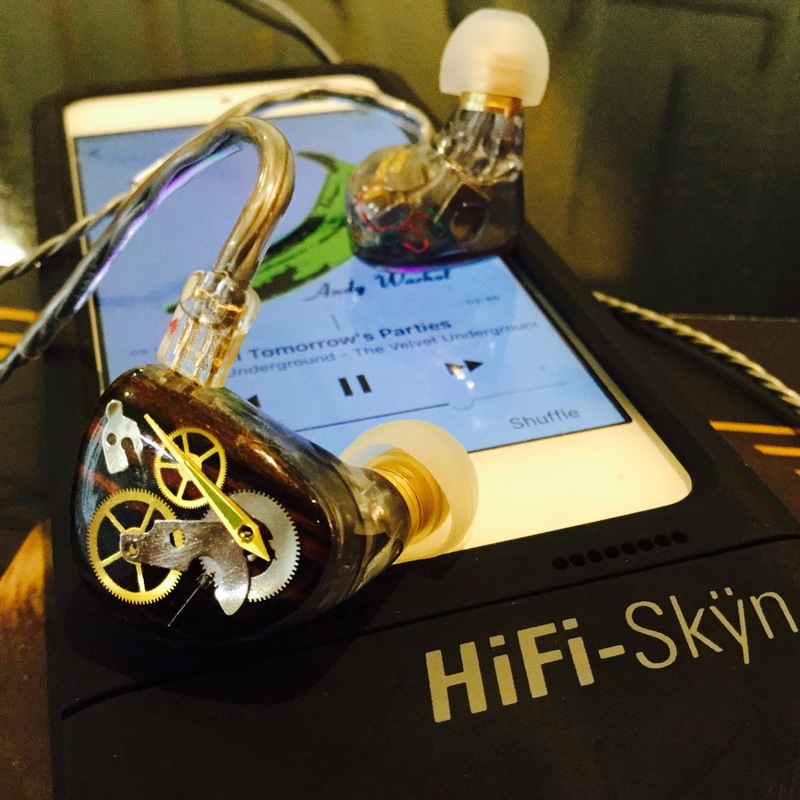 The Shozy Alien Gold Dap, Centrance Hifi-Skyn with ipod touch 6G, 128GB with Flacplayer app and also the OPUS#1 Dap were the sources used. 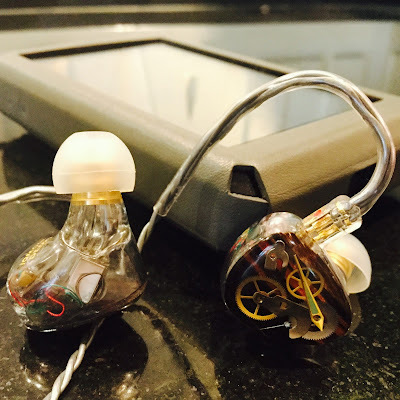 In the end the synergy I decided was the best was with the OPUS #1 Dap. The performance of them all were incredibly close yet the OPUS#1 slightly edged them out on micro details, height and width. I tried out many genres of music to get a clear overview of the performance of the JOMO 6R, either listening to whole albums or using shuffle mode (pictured above) to cut down on general familiarity of my usual choices and add an element of surprise to my listening/testing sessions.. I tried out several tips and thought that the supplied short double flanges (S/M/L) or the Ortofon tips were best suited to retain the intended signature of the JOMO 6R. 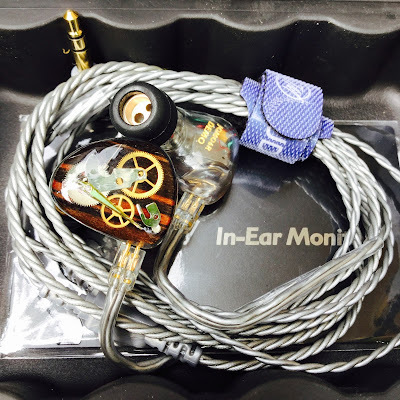 In the end after the initial burn in had been completed and the Jomo 6R settled down to perform in the manner expected of it as a reference styled and tuned IEM my later findings remained consistent with my earlier impressions, only with more present and tighter bass, controlled highs and an even mid section. 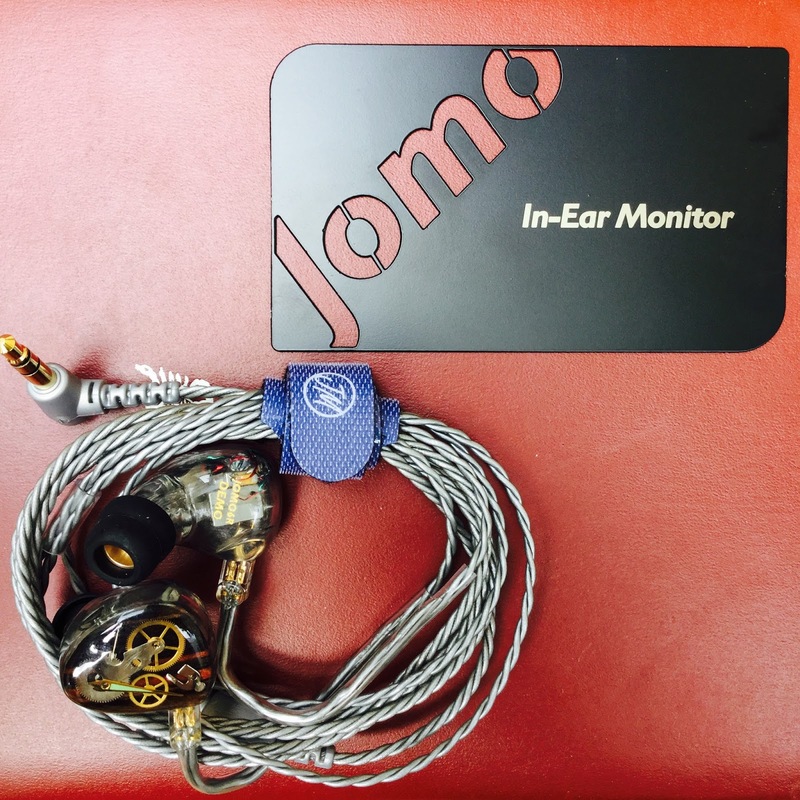 The JOMO 6R when paired with appropriate flat Daps presents the music as recorded with virtually no coloring as such, well,... reference as promised. It performed well with the sources/Daps I used in my testing but the added detail retrieval the OPUS#1 provided determined it to be the best match to my ears. The JOMO 6R is a joy to listen to, after the main burn in any imperfections in delivery were harder to trace without minute nitpicking which would be more about personal aural preferences than the actual performance of the Jomo 6R. 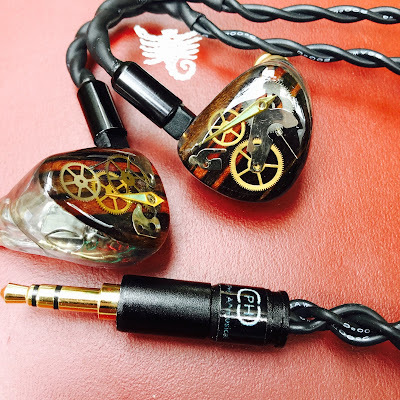 It is a clear reference level IEM with wonderful clarity and detail when playing softer tracks with strings, vocals and smaller drums, the 6R also responds well when more stronger music with loud guitars and strong vocals are thrown into the mix. 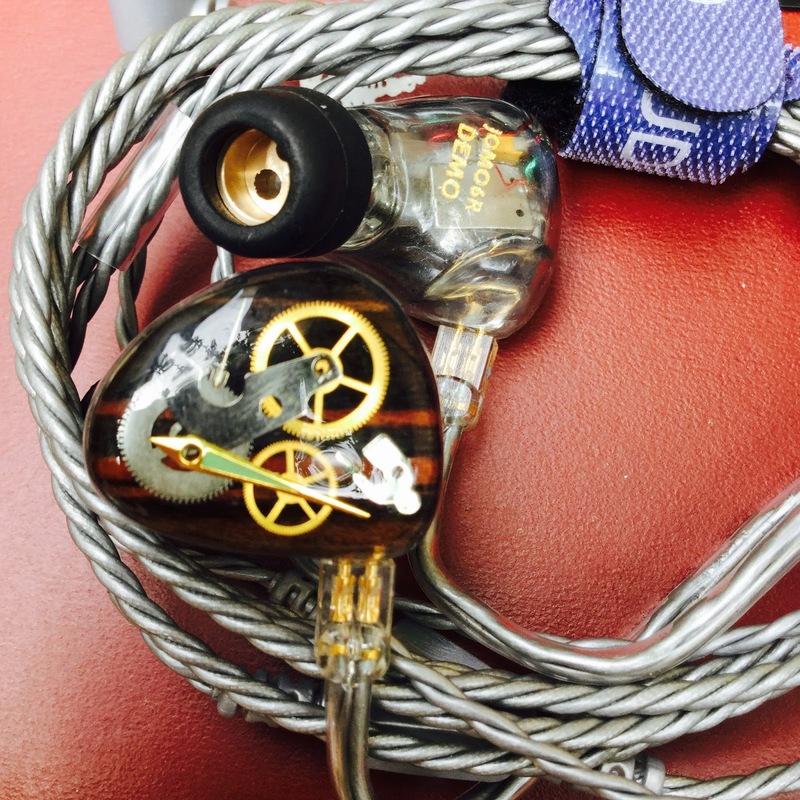 The JOMO Audio 6R delivers on its reference IEM promise. Presenting an IEM that has great micro detail, bass that is fast, tight and yet lovely in a lush sense, impeccable layering, well balanced mids that sit just right, treble that is sweet, reaching and not over extended, shrill or sibilant. Vocals are accurately reproduced and remind me of my record album listening days of yore. 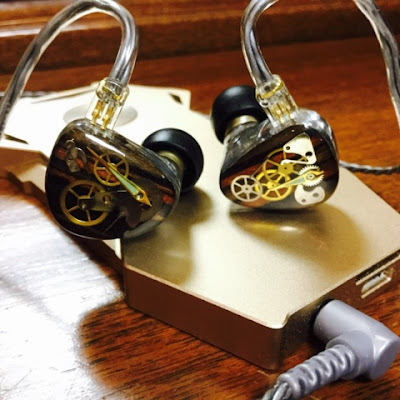 The JOMO 6R has excellent instrument separation, a wide sound stage and generous width and height yet communicates the above to listener in quite a natural and organic sense. More analog than overly digital. Jomo Audio offers several models starting from their single driver US$215 model and then going up wards from there. 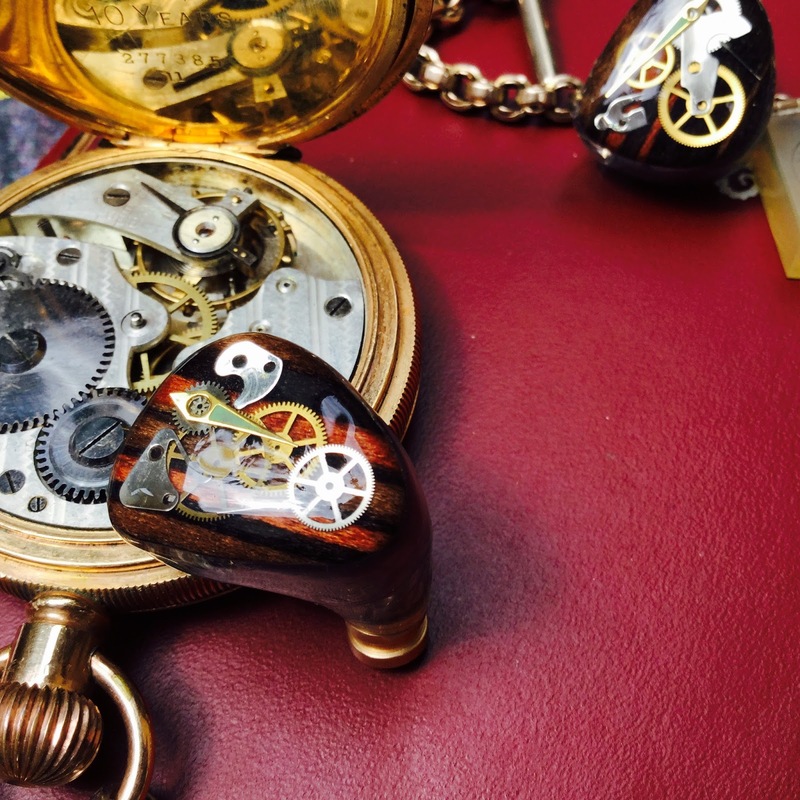 The JOMO 6R clocks in at around US$1,015. 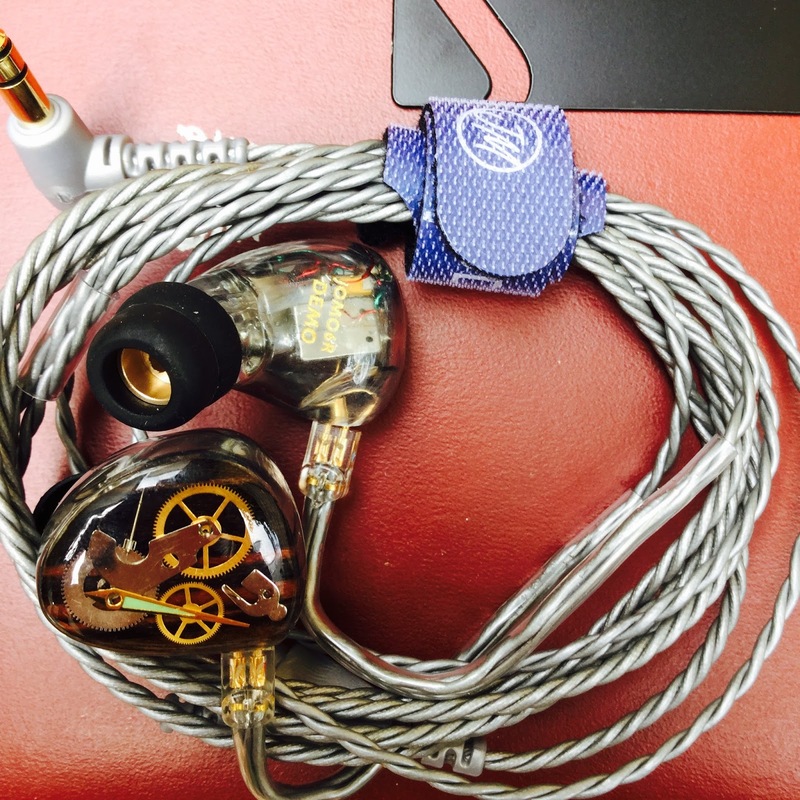 Thats a lot of nest egg to drop on a pair of IEMs, is it worth it? As usual price, affordability and value is often a personal thing. 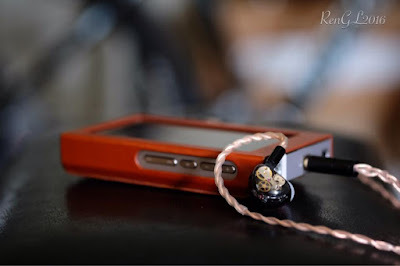 The main accurate question perhaps would be `Is the Jomo 6R in the same league as other IEMs in the same price point?`. From my limited opinion I would say yes. 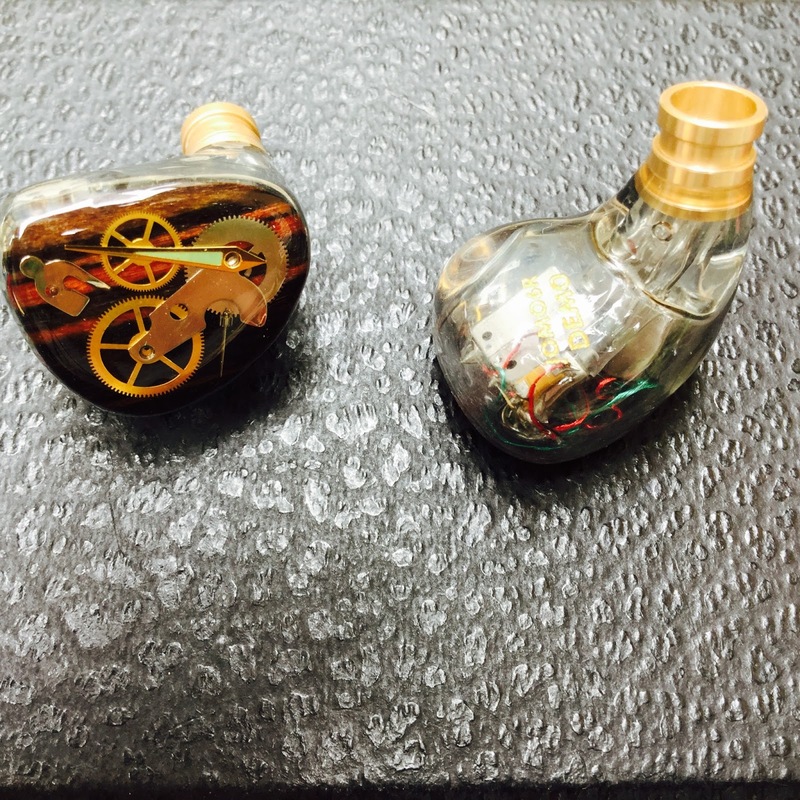 The JOMO differ in that they are more hand crafted than other more assembly manufactured IEMs. 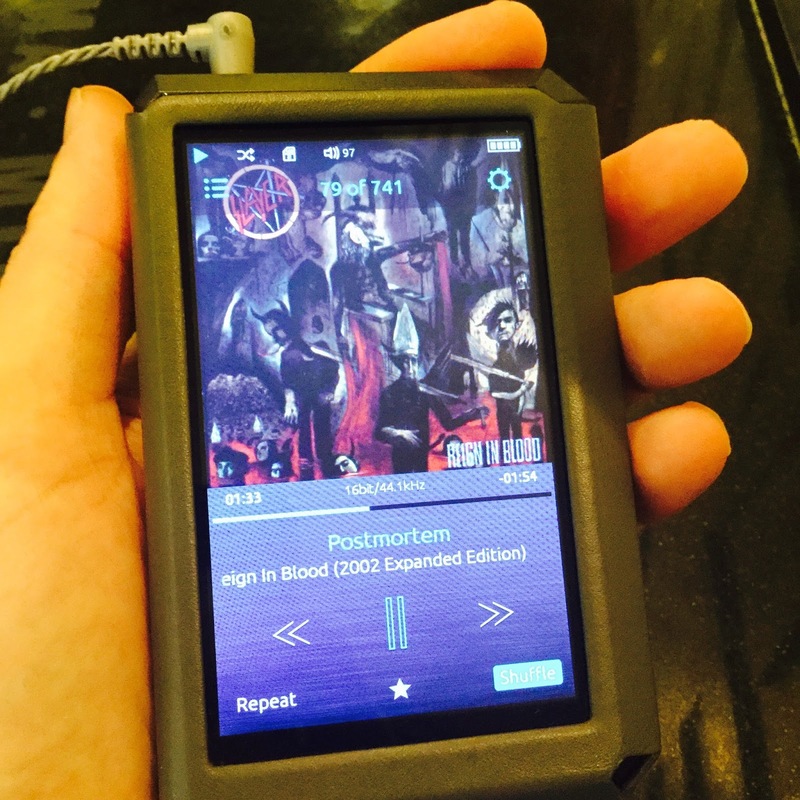 "The R series monitors aim to have a flat response for reference monitoring. 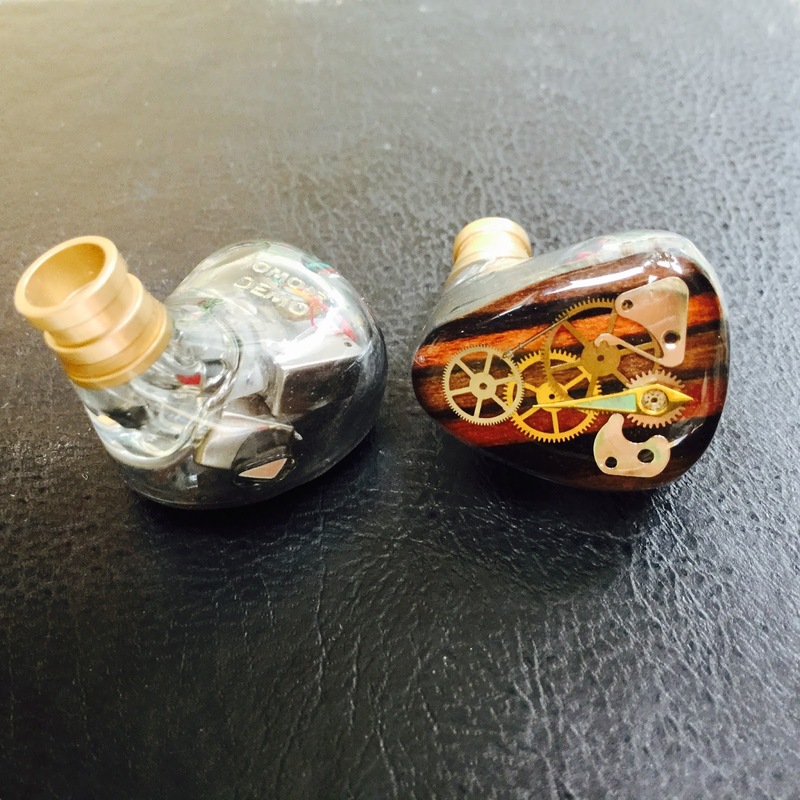 Advance horn sound outlet design*. Three way passive crossover network. *Horn sound outlet design depends on the size of the ear canal portion. When the ear canal is not big enough for three sound tube to be recessed in a horn sound outlet design, a flush sound outlet will be built. JOMO Audio reserve the right to decide if a horn sound outlet is possible. " 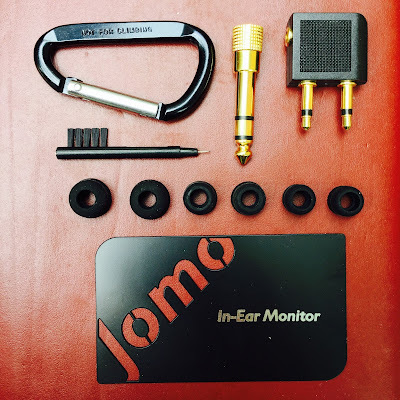 I tried the JOMO 6R with several quality two pin aftermarket cables without much the success. The supplied cable was the best match I found. I do have another cable on the way which I am informed is a good match for the 6R, we will wait and see. 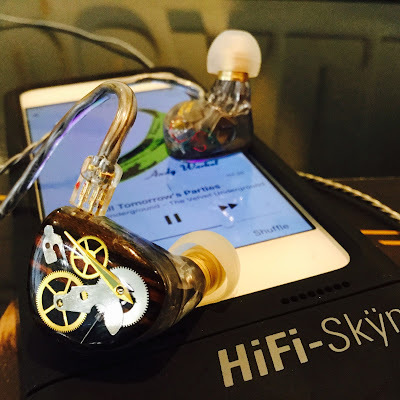 Synergy plays a big part in achieving aural bliss. 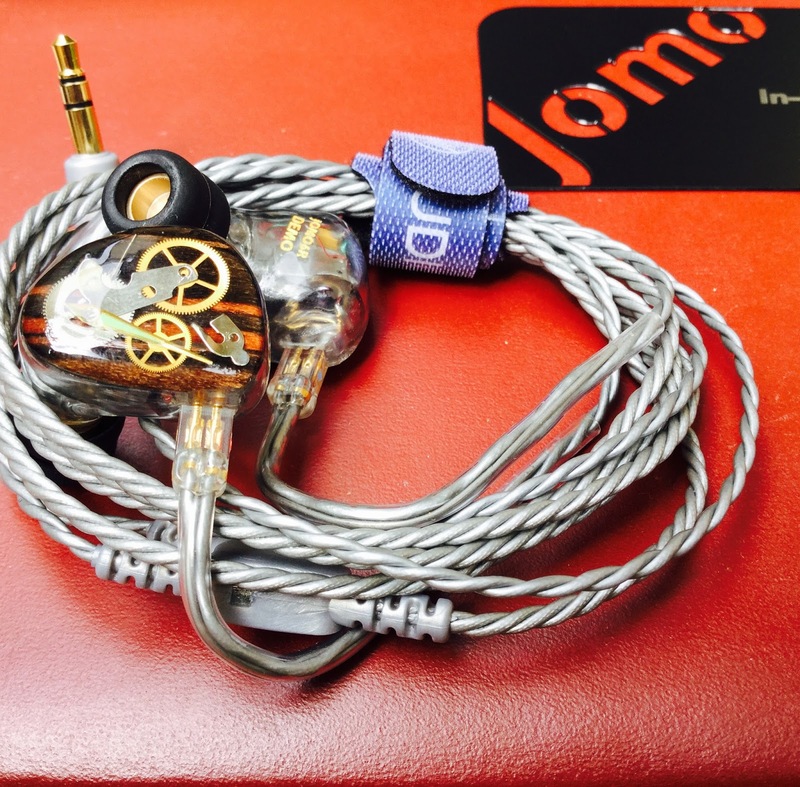 The JOMO 6R is a high performing IEM that is best suited paired with an upmarket DAP for best results. It performs its function as a reference tuned IEM wonderfully, presenting and accurate representation of the music fed to it. It ticks all the right boxes of height, width, instrument separation, detail and micro detail, soundstage and layering. Hiss is minimal from what I can gather, although do note that I am not particularly sensitive to hiss and also listen at generous levels. 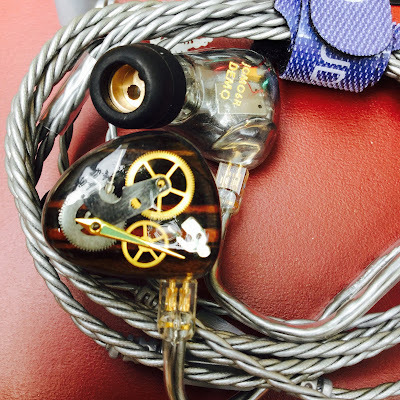 If you are looking for an energetic or V shaped sound signature the JOMO 6R is not for you, If you were after `linear and balanced with a very smooth presentation`(- r3n88) you would find satisfaction with the 6R. Build is impeccable, although I would like to see a sexier cable to match the wonderful construction and look of the gorgeous IEMs themselves. It is very clear, has great detail retrieval, relatively transparent. It seems fairly even in tuning, reference level.